So there you have it…..our biggest seller for the iPhone 3G S….Feel free to ask for a promotional code at lisa@fortte.com or give us a call at 866 306 8239…..
Fortte has quite a few cases for myTouch 3G by T-Mobile. All made from the finest leather South America has to offer. These cases have a designated fit for your myTouch 3G. Order now and receive 35% off on your purchase….offer good until Monday. Shop Now! Fortte is offering a special Post Labor Day Sale….. There are only 4 days left for this sale, which is one of the biggest that we offer during the year. You can take 35% off your entire order…this includes color choices, embossing…Etc…but unfortunately it does not include sale items. The promotional code for this sale is 5DAY. The best part is that some of our newer models like the Blackberry Tour Lateral or Vertical pouch come out to $19.49 ….how can you go wrong. We have the latest cases for your Samsung Jack. These cases make this phone look even better( if that’s possible) …..made from 100% full grain leather, we are offering a Lateral and Vertical pouch as well as an Open Face, Dual Design and Book Model. Check out our mini-review below…..
We suggest that you look at our color, embossing, and shield options to give your case the most unique look possible. 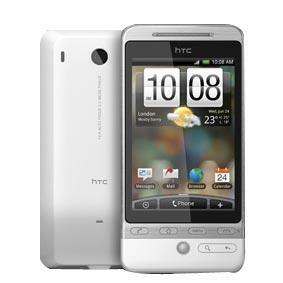 We now have the open face for this HTC. This is a fresh looking case similar to the skins you might find at your local mall but with a more professional feel and look. This is made with our finest full grain leather and available in different colors http://www.fortte.com/scr/showcolors.php and with different clip options. All of the ports are open and easily accessible. Once you put your HTC Ozone in the case it never really needs to come out…..Pick up Fortte’s Open Face for the Ozone you will be pleasantly surprised! Fortte now has new models for the iPhone 3G S. We have the Flex-fit Lateral and Vertical. These 2 cases allow you to have a skin on as well. They come with a nice elastic on both sides that allows the case to stretch out enough to accommodate the skin but the best part is that it goes back to its normal size if you decide to go without the extra protection….take a look at the photos below. Another one of our new models is the Lateral Pouch n Pouch. This is a very handy case that has a special compartment for your earplugs…..you never know where to put them if you are like me. All of our cases for the 3G S are made with a Velcro or snap closure due to the problems that magnets seem to cause to the GPS System. We will make it with the magnetic closure if you request it at no additional cost. Fortte is now accepting subscriptions for the new HTC Hero….if you subscribe now you will receive 25% on your case purchase. These cases should be available online sometime next week.